People who write down their dreams are much more likely to achieve them. 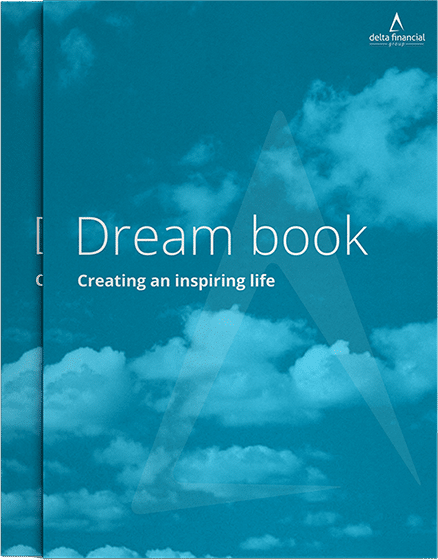 This guide is the first step to help you think about your dreams and which ones are most important. From there, we can work together to help make your vision come to life. 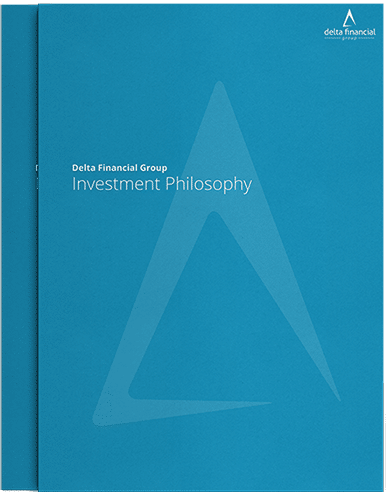 A major part of what we do at Delta Financial Group involves the investment of our clients’ money, whilst we also spend a lot of time on tax strategy, asset protection, retirement planning and client structures — things that can be termed ‘traditional financial planning’ — such as the investment of accumulated assets, remains central to helping clients achieve their financial objectives. 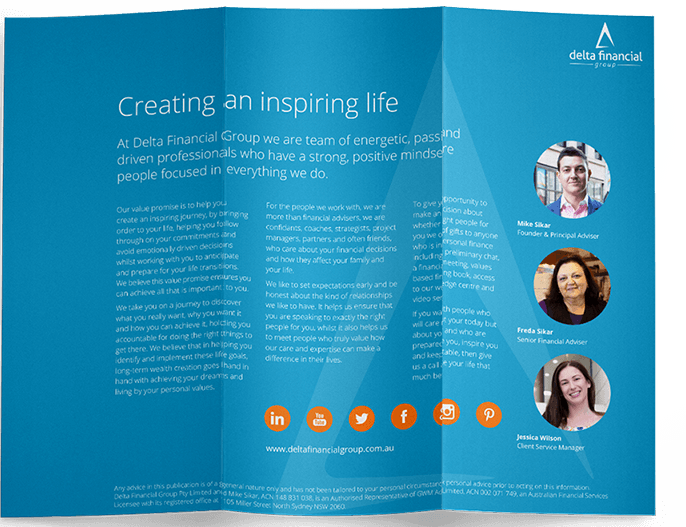 At Delta Financial Group we are team of energetic, passionate and driven professionals who have a strong, positive mindset and are people focused in everything we do.